In switch mode power supplies (SMPS) the chopper transformer plays a major role. A transformer is built from two magnetically coupled inductors on a magnetic core. Therefore, in a simple approximation here we look at the behavior and functionality of a single inductor in an electronic circuit. Furthermore, buck and boost DC/DC converters use simple coils instead of transformers. The most important detail what we need to understand, is that an inductor is a passive electromagnetic device, where electric and magnetic energy is being temporarily accumulated, and these two different types of energy are being transformed from one to an other. To understand the concepts behind energy transformation and conservation, in the first I show similar concepts on a simple mechanical spring, where it is more straightforward to visually see and follow these concepts in action. In the case of a mechanical spring, external mechanical energy is first being transformed into elastic/deformation energy, and later this will be transformed back again into mechanical energy. For comparison, in an inductor an external electronic energy (current) will be transformed into magnetic energy, thereby magnetizing the inductor. Later this magnetic energy will be transformed back into electric energy though electromagnetic induction, and the core is demagnetized. In this video we cover the basics of the magnetic field lines, and the mechanical shape/construction of an inductor. Some simple experiments are done on a spring and on the inductor, making it into an electromagnet. We look at the properties of the toroidal vs rod type solenoid inductors. In SMPSs the toroid inductors are used most frequently because they provide low stray magnetic field, and high electric/magnetic energy conversion efficiency. 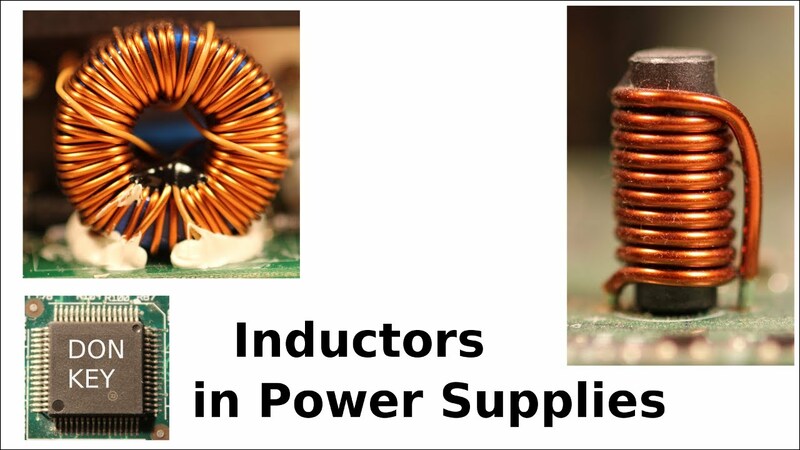 The usage of inductors as DC chokes is also being covered together with the electromagnetic noise. The ferromagnetic nature of the magnetic core is also explained, without going into any detail, and especially without discussing at all the Maxwell's equations (like the Lorentz force, or the Biot-Savart law). This is because in these videos I am trying to grasp the basic ideas for every hobbies, and not everybody likes deep mathematics. In fact, for repair purposes knowing these laws is not even necessary.